Just to clarify, it's not. Facebook is great for helping you remember friends' birthdays. But not so much when it comes to vexillology. 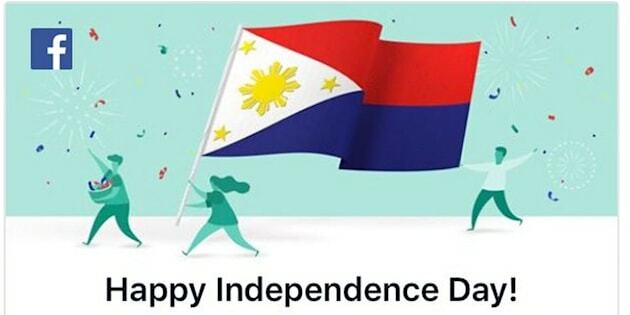 On Sunday, Facebook users in the Philippines saw a message commemorating the country's declaration of independence from Spain on June 12, 1898. The message, however, had one teensy glitch. The Philippines flag is so wrong. Making matters worse is that under Philippine law, the flag is only flown inverted (with the blue on the bottom) during times of war. Whoops! Luckily, Facebook realized its error fairly quickly and apologized. "This was unintentional, and we're sorry," the company told The Philippine Star. "We care deeply about the community in the Philippines and, in an attempt to connect people on Independence Day, we made a mistake."